I'm sure, like me, that you have heard about the massive benefits of meditation in the news. I have also been hearing about how great meditation is at various workshops and clinical trainings for psychotherapists. And most importantly, I have heard from people I know how helpful it is to them. In fact some of my clients have tried meditating and said it helps them control their temper and helps them maintain a sense of calm; these clients reported that this reduced reactivity significantly helps their relationships. 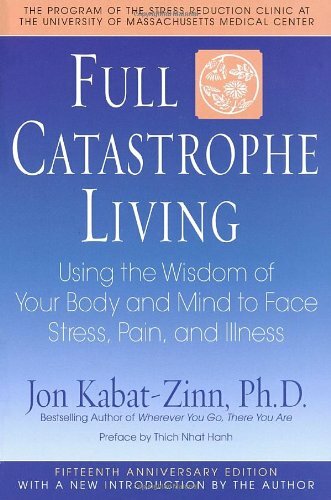 Jon Kabat-Zinn's book "Full Catastrophe Living" is a bit of a classic in the world of mindfulness. The UCLA Mindfulness Awareness Research Center has free guided meditations online ranging in duration from 3 minutes to 19 minutes. They also have various podcasts and videos, including an hour long introductory video to Mindfulness Meditation. Under the resources tab you will find a summary of research studies on mindfulness. I find the following tips by the founder of the meditation app Headspace helpful regarding meditation in general. Richard P. Brown and his wife Patricia L. Gerbarg offer weekend workshops throughout the year in various locations. The workshops incorporate breathwork (regulating your breathing) into meditation practices as well as some gentle body work such as qi gong and yoga. I've enjoyed their workshops and have heard positive reviews from others as well.